Let’s face it. As men who take pride in our beards, we’re always open to ideas that can make ours look better. The rapid new growth of our youth is in the rearview mirror, and the result sometimes is a beard that leaves us wanting more. Most widely known as Rogaine, Minoxidil is approved for growing head hair that’s been lost to issues such as male pattern baldness. More specifically, it’s meant to increase hair growth on the crown of your head, but it’s been proven to work on the temples, as well. So applying that logic rogaine for facial hair should work, right? Definitely, there are scores of men who’ve used it on their beard will attest. Some have even grown a beard from scratch. Now, let’s explain the minoxidil beard and how you can use it to increase your facial hair thickness. Minoxidil was originally used to treat high blood pressure. It’s considered an anti-hypersensitive vasodilator and was prescribed to patients who couldn’t lower their blood pressure through standard treatment and medication. But people who took the drug noticed an interesting – and not at all bad – side effect: the stuff caused hair growth. Minoxidil is still used to treat high blood pressure. If you want to dig deeper into Minoxidil’s history, you’ll find that it was first intended to treat ulcers by the company that developed it (Upjohn). It was used in trials on dogs, which revealed that it didn’t do much for ulcers but had a positive effect on high blood pressure. When the drug went through clinical trials to test its overall effectiveness on high blood pressure, scientists first noticed its effect on hair growth. By 1988, the FDA approved Minoxidil as a hair-growth product and allowed it to be marketed under the name of Rogaine. A common misconception about Minoxidil and facial hair is that it will revive hair growth on your face in the same as it does on your head. The concept isn’t the same: men who suffer a lack of facial hair are not “balding” on their face as they are on their head. But Minoxidil will stimulate the follicles that are already on your face. That’s the million-dollar question, and the answer is yes. Fact is, Minoxidil will stimulate hair growth no matter where you apply it – whether it’s your face, scalp, chest, arms, even eyebrows (if you want bushier eyebrows, that is). 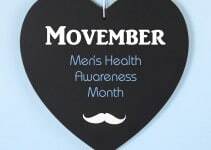 Moreover, keep in mind that men have hair follicles all over their faces, but not all of them are active for everyone. That helps explain a “patchy” beard that is thick and growing like mad in some places but a bit thin in others. Minoxidil, when applied to those thinner areas, will help develop a more uniform, healthy-looking beard (that comes with its many benefits). It’s important to note that, for many users, Minoxidil doesn’t represent a quick-fix. Rather, using it requires patience because you may not see results for weeks, or even months. 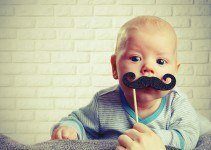 For some men, major “milestones” may not be reached for even longer than that – but those milestones included a full-fledged beard at the end of the rainbow. In other words, you need to stick with it to make sure that you’re getting the best possible results. Then again, you may be able to shorten the process by using various strategies, including choosing what type of Minoxidil you purchase. Surprisingly, scientists aren’t completely sure how Minoxidil works to promote hair growth. They know that it’s a potassium channel opener that stimulates blood circulation in the hair follicles, which brings more hormones and nutrients into the roots to make it grow thicker and faster. Minoxidil is different from other hair-loss products in that it’s not hormonal but instead works topically to stimulate circulation. Minoxidil, in its most fundamental sense, works by prolonging the Anagen phase of hair cells. The Anagen phase promotes actual hair growth. Hair cells go through three phases of growth: Anagen, Catagen and Telogen, and this cycle is repeated as new follicles replace existing ones. A shortened Anagen phase is the precursor to hair loss disorders such as the dreaded MBP. We’ve already mentioned Minoxidil and blood flow enhancement. Increased blood flow has been noted while using a 5% topical Minoxidil – but not at lesser doses. It has also been suggested that Minoxidil works via the immune system by the stimulation of the enzyme prostaglandin synthase-1. General hair loss appears to be involved with the immune system in some way. Why aren’t we bombarded with Minoxidil facial hair growth publicity? This is an important question because, despite the scores of testimonials from men who’ve developed a killer beard with the help of Minoxidil, you don’t hear much about it. At least when it comes to facial hair growth, that is. Fact is, there haven’t been clinical trials done with using Rogaine on a man’s face, which is why it’s not approved by the FDA in the United States as a beard enhancer specifically. For scalp hair growth, yes, but … you get the picture. However, that doesn’t mean you should avoid using Minoxidil – not by any means. There are some reported side effects, which we’ll touch on later, none of which are life-threatening (or damaging). Your best bet is to see your physician and get his thoughts on the subject while trusting your own judgment in the end. We previously mentioned that choosing the type of Minoxidil to use is an important part of your facial hair growth strategy. But we’re talking type, not brand, and your choices in terms of type are liquid and foam. Let’s look at each and their differences. Minoxidil liquid is the original form of application – which is the 5% version for men and can be applied twice a day. 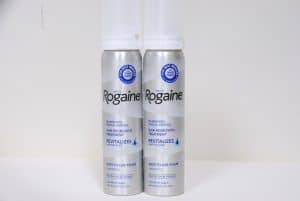 Rogaine also makes a slightly weaker 2% version for women that can also be applied twice a day (on their scalps, that is). An upside of the liquid is that it’s generally cheaper than the foam version; its downside is that it takes much longer to dry. Some users have noted that it seems slightly greasier on hair. How to apply liquid Minoxidil: After washing your face thoroughly, measure out the right amount of liquid (about 1ml) with the dropper included with the product. Use the applicator to put small drops in the beard area until it’s empty. Using two fingers or the dropper itself, gently rub the solution into your beard with a bit of pressure. for the treatment of hair loss for both men and women. 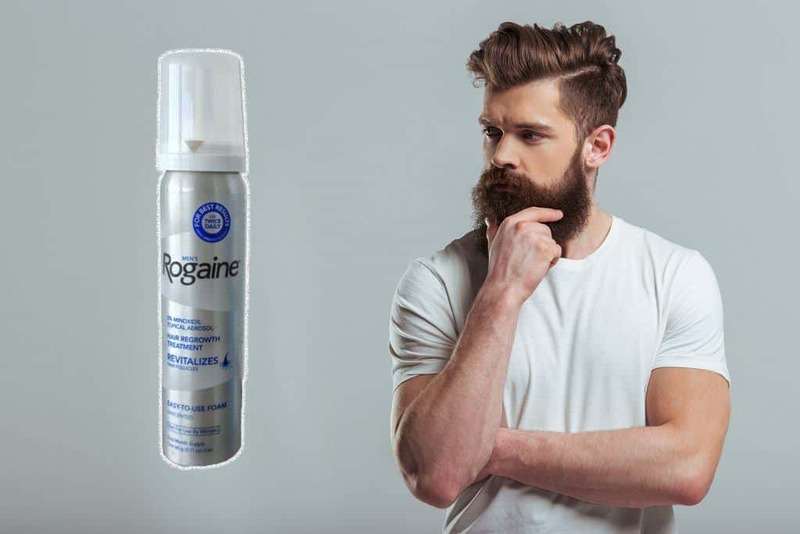 Rogaine makes a 5% foam version for men and women, and results have not only been good but seem to come more quickly. It also dries in half the time as the liquid. While it’s slightly more expensive, the time you save during the drying process has its own value. How to apply foam Minoxidil: Again, start by washing your face thoroughly. Because the foam will dissolve if your hands are warm, rinse your fingers under cold water before starting. Next, dispense enough foam onto your fingers that would fill half of the container’s cap (like with the liquid, about 1 ml). Use your other hand to apply it to your beard area, repeating until the foam is used up. Repeat up to two times each day. The amount of foam you apply is strictly a personal thing. Find the amount that produces the best results and go from there. Also, if you use it twice a day leave about 8 to 12 hours between applications. Here are some other things to keep in mind when applying Minoxidil. First, there’s no doing it “wrong,” within reason, of course, but the main thing is to rub it deeply into your beard and leave it for four hours. After four hours, it’s up to you whether you want to wash it off before your next application. But you can also leave it in, if you choose, including at night before you go to sleep. If you experience dryness, it’s important to establish a hydration routine. Make sure that you’re drinking plenty of water – even more than you normally do – and apply lotion or a quality beard oil to help ease the itchiness and flaky skin. Indeed, beard balm and oil become even more important as your beard blossoms into that beautiful, mature piece of manliness you always wanted. What about trimming or shaving the beard while using Minoxidil? Good question. The answer is that both are perfectly fine and that keeping your beard trimmed helps Minoxidil absorb into your skin better. But it’s not a must that you trim or shave. Many men opt to trim at the lowest setting until the beard is full enough to truly take flight. 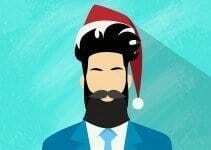 Does Minoxidil help you grow a thicker beard? OK, we’ve covered the (brief) history of Minoxidil, how it works, the two main types, and other information. But now it’s time for the real question: does the stuff help you grow a better beard? While there are a variety of methods you can use to grow a thicker beard, why not give this one a shot – if it works, that is. Well, it does work. 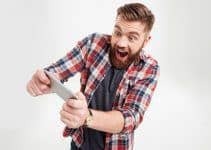 You can look at some of the evidence, but also the dozens – if not more – online posts and testimonials from users who’ve had success in using Minoxidil to enhance their beard growth. The truth is, the stuff seemingly can grow hair on just about any part of your body – head, face, chest, arms, eyebrows. Basically, any place on the skin where there are hair follicles is fair game for Minoxidil’s alchemy. Remember, however; patience is a virtue, and it’s certainly a great one to apply if you’re taking the Minoxidil route to a better beard. While some users have reported seeing results in as little as two weeks, others say that you need approximately three months for a more definitive outcome, or to see if you’re getting the results you hoped for. The important point to keep in mind is that no two beards are alike, which is more a matter of genetics than anything else. Some men just have more trouble growing beards than others. Here’s the other thing: Minoxidil isn’t for the rest of your life. Experts suggest using it for at least six months, preferably for a year, to get true long-term results. Some people that have used Minoxidil for less than six months report that they’ve lost their gains once they stopped using it. Just don’t stop using it until your hair is fully mature. These were the submission to Jeff’s Beard Board Minoxidil thread, an awesome community for all things beard. 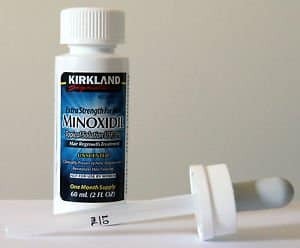 There are also other great communities for discussing Minoxidil for facial hair like the Facebook Group The Minox Beard spot. Dry skin – This is more prevalent when using the liquid version. Other users have reported redness of skin, itching, and irritation. Nothing too serious, though. Shedding – While shedding isn’t necessarily a side effect, it can be a bit alarming if it happens to you. But relax, it’s just the new hair pushing out the old. It will pass. Lower blood pressure – It was originally intended to be an antidote for high blood pressure, so this isn’t unusual. Just be careful that your blood pressure doesn’t dip too low and, no, this shouldn’t be used in place of regular blood pressure medicine prescribed by your physician. Some weight gain – There’s not a strong correlation here, but some users have listed it as a possible side effect. And if you start using it now – as the treat-filled holidays beckon – any subsequent weight gain can be attributed to a variety of factors; no sense using Minoxidil as a scapegoat. It takes discipline – Chances are, Minoxidil will help you grow a better beard. But you must stay the course while you wait for results to become evident. Staying the course means applying it twice every day and incorporating it into your daily routine. You may notice thin white hairs in your beard as Minoxidil begins to work its magic. Those are called vellus hairs and grow over most of your body. As far as your beard goes, they’ll eventually become fully developed terminal hair that’s thicker, longer, coarser, and darker. Are there different brands of Minoxidil? The answer is, yes. 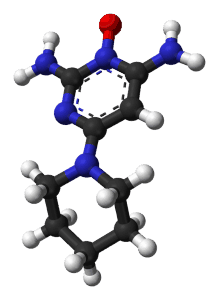 There are several Minoxidil options out there, although Rogaine is clearly the most well-known brand. A general rule of thumb is that any brand that has 5% Minoxidil is fine, but just make sure that it doesn’t contain DHT inhibitors. Found in several hair-loss treatments, DHT is a by-product of testosterone and helps you grow facial hair. Here’s a look at two popular brands and a brief synopsis of each. 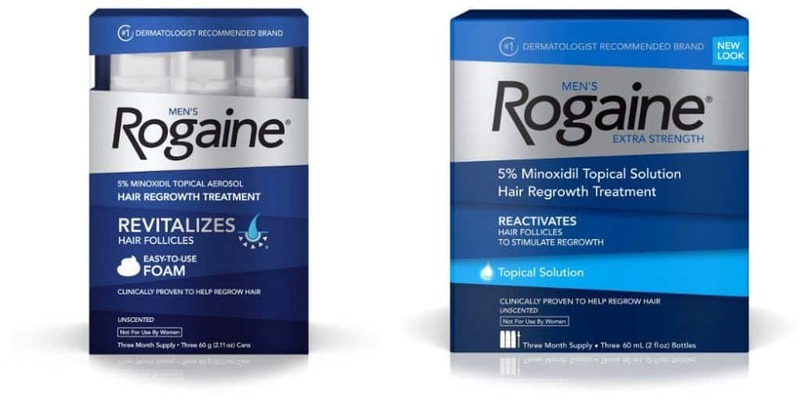 Yes, Rogaine is considered the gold standard when it comes to Minoxidil products and certainly the most popular. If you’re the type of person who trusts well-known brand names, then you can’t go wrong with Rogaine. If you like to buy in bulk, then Kirkland is going to be easier on your wallet. A six-month supply will cost you only about $25, and it’s a great option if you just want to buy enough Minoxidil for a true trial run. The liquid solution comes with a dropper that will help with the application process. 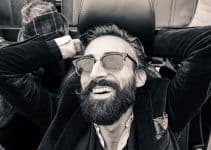 The evidence is there: Minoxidil is clinically proven to work on your scalp, and there’s just too many examples to deny that it can help you grow a thicker, better-looking beard, as well. But it’s not a magic elixir, either. You still need to take care of your beard in ways that we’ve talked about here many times before. There’s certainly no harm in trying. The results may surprise you. Have you used Minoxidil or other products to promote your beard’s growth? If so, we’d love to hear about it. Send us your thoughts, comments, and questions, and we’ll be certain to respond. Hello I am 21 years and I have patch beard and Don’t have a proper moustache where in the middle I have very light facial hair will it help and how to apply it. Can I use hair dryer on low to help drying process of liquid minoxidol? I would advise against that. Minoxidil takes time to absorb and using a hair dryer could evaporate it faster. Haven’t heard anything about minoxidil being related to cancer. But I would advise going easy with it. When I first tried it I was a bit paranoid as well but that quickly faded away because I didn’t experience any side effects. Hi there. Thank you for the informed article. Did you say that you believe the foam might work or seems anecdotally that it may work faster than the liquid on the beard? I just bought the liquid, but if the foam may work faster, I will purchase this next run. Thanks again! I didn’t find any evidence one working faster than the other. I’m very sure you’d get same results from both versions. Hey, I started using Rogaine and was noticing some growth but I had to shave for and left a shadow of mustache and goatee. I’ve never really been able to grow (or maybe it’s just lack of patience), but by shaving Saturday, I already feel the growth coming out and I skipped two days of Rogaine so my question is do you have to use it everyday? I also use a Dermaroller. If you want the best results then yeah, every day would be ideal. Be careful though, do not use the Dermaroller on the same day you apply minoxidil as it could be a big catalyst for side effects. 5% made me super nauseous and woozy. Will 2% work? Is it just slower? Also does this work on making thicker eyebrows? 2% should work, although to a lesser degree. Minoxidil works anywhere you apply it, but applying it to the eyebrows hasn’t been tested, so there is risk involved. Does it work for those person who have no beard on their cheek?it is available in Bangladeshi pharmacy can i buy it in Bangladesh which contains 5% of it? I used minoxidil for less than three months and a couple of years later I still have my Minox Beard, I certainly didn’t have it before. I’ve suffered a lot of sides though, anxiety, bad blood pressure, erectile dysfunction, thus I had to stop. Honestly, I still can’t get my erection back to 100%. I’m not saying you shouldn’t try it but be aware of the risks. can i buy this in botswana,Gaborone to be exact? hi, hope you can answer me these questions.. First if you stop using it will your beard go away? Second im using the liquid. Can i get acnea from that? Hey, Tyson. The theory is; when the hairs turn terminal they stay that way and don’t fall off. As for the acne, yes, I’ve read some people do experience an increased occurrence of acne, but this wasn’t the case for me. Hi, I’m 18 years old and I’m interested to grow a full beard. Is it ok if I use Minoxidil to help me grow a full beard or should I let my beard grow naturally with time? Hello, at 18 years old you have a good chance of growing a full beard naturally with time. If you’re not in such a hurry I would wait. I started using Kirkland long time ago and results were not as expected. My dermatologist suggested me Barboxil, I started my treatment two months ago and im having AMAZING results. Im not getting any skin harsh like the other brand. Hope this help you people with sensitive skin. Where can I get “Barboxil”? Visited their website but all in Spanish… Appreciate if you could give me a hint…..Thanks.. theres also elixirbeard.com i tried that, i saw results in as little of two month a friends of mine his beards was thick enough for him to look like a biker thats how good it is. and its good for all skin types. If you used minoxidil for a whole year…is it bad for your blood-system. Hey, I have question, Can you use minoxidil on the head and beard at the same time ?? I can’t think of a reason why you shouldn’t. That’s what I do, anyway. Hey Domen, thanks much for the write up. I’m interested in trying minoxidil for facial hair, but I don’t have much hair between my sideburns and jaw bone on the side of my face. I’m wondering if I need to be careful of where I apply the minoxidil, since I don’t really have a guide of already existing facial hair to follow. Will it grow hair anywhere I apply it? Do I need to be careful to only put it where a natural beard would grow? Hey Elliot, yes. I would suggest you only apply it where your beard would naturally grow. So how has it worked out for you. Did you grow the beard you’re looking for. I’m interested in trying and wanna see how it went for others. 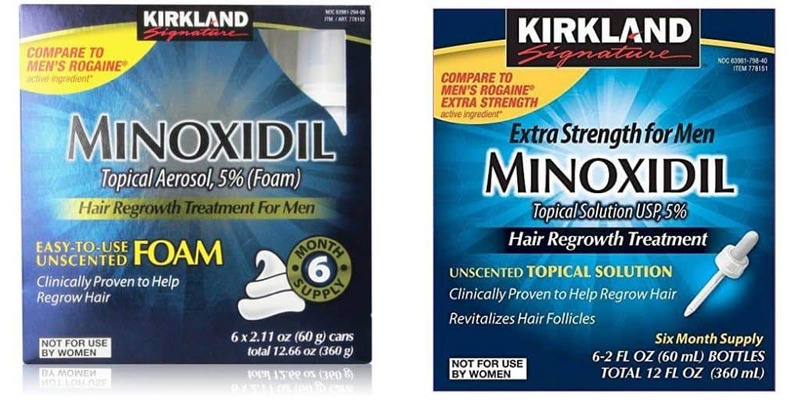 A warning from left field about Minoxidil… been using it in my hair for years. My cat had a habit of licking me, including my hair. She died because Minoxidil is intensely poisonous to cats. It induced heart failure. The vet hospital had never even heard of this, and had to call a pet poison control center to understand what was killing her. It’s a great product, but if you have pets guys – beware! I’m very sorry to hear that, Logan. Yes, minoxidil is highly toxic to cats. Thanks for the warning. I did not know this! I’m hoping one of my cats hasn’t licked my face after application recently. I’ve been very cautious of not letting them touch me or lick me, but I can’t help but be fearful now that it could have happened. I haven’t noted any effects on my cats, but I would feel so terrible if something did happen because of my negligence. I thought maybe it could make them sick, but I was unaware it could kill them from just a small amount. Thanks for the heads up! I will definitely take extra steps to ensure their health isn’t jeopardized. I’m so sorry to hear about your cat. That’s terrible! Glad to know they tested it on dogs first, no doubt killing them too. You just helped me make the switch to Viviscal. Rogaine gives me heart palpitations and I have no new growth after 3 months. I’m asian. and growing a full beard is not that much in our genes. I’ve been using rogain for 6 weeks now. and the result was amazing. my chin and all the areas I wanted to have beard is now covered with noticeable vellus hair. I cant wait to see the terminal result for the coming months. Hey Berto, that’s awesome! Keep us posted. Great !!! Hang in there bro… PATIENCE will get you the beard you want !!! can i buy in the philippines?? I’m pretty sure you are able to get it online. If not, consult a dermatologist.